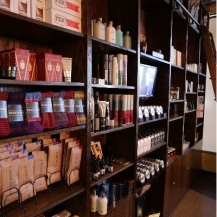 Take advantage of our members-only discount on our meticulously curated selection of grooming and hair care products. Looking your best means attention to detail. 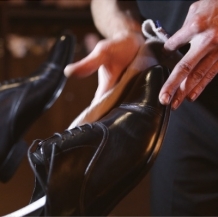 Enjoy a professional shoe shine as part of your Member Day Pass. Personal consultation, cut, and style. Energizing shampoo and conditioning. Steamed towel. Hot Lather Neck Shave. If you are looking for a high quality, efficient and tailored hair service to meet your exact needs, the 3 Course is it for you. 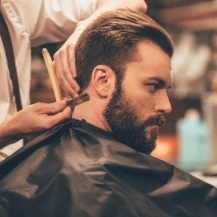 An efficient 30 minute service from our grooming professional that will ensure you consistently look and feel your most confident best. This is the perfect plan for a gentleman that is looking for something more. It includes our 5 Course Service, which adds a relaxing scalp massage and face refresher to our 3 Course, all in less than a 45 minute time block. Want to really escape reality on each visit to Gents? Opt for this plan to enjoy our 7 Course Service, which is a one-hour stress reducing getaway that includes a relaxing hair and spa experience all in one. Join one of our tailored members clubs and rest easy knowing we'll make sure you always look your absolute best. *Limited to 1 per first-time Guest. Not valid for members or repeat visitors. Valid Monday – Thursday only. Member Day Pass must be presented at time of redemption. Special offer expires 30 days from receipt. No cash value. Does not include gratuity. 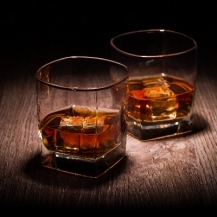 Complimentary bar not available at Kansas Clubs. Valid credit card required at time of reservation. Appointment cancellations require 24 hours advance notice otherwise the full price of appointment will be charged to the credit card on file. See Club for details. Each Club is independently owned and operated. ©2008-2019 The Gents Place. All rights reserved.